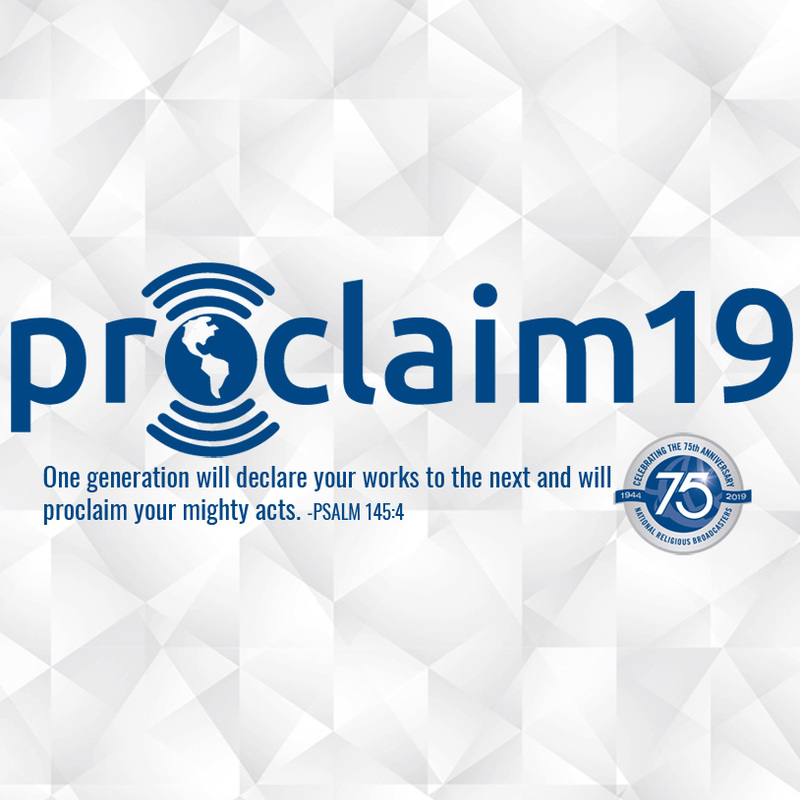 Registration is open for Proclaim 19, the NRB International Christian Media Convention to be held March 26-29, 2019, in Anaheim, California. But to take advantage of the Early Bird Registration discounts, you’ll need to register by December 31. NRB’s annual Convention is a must-attend for Christian communicators. Every year, thousands of participants from across the United States and around the world flock to the Convention for several days of networking, education, business, and fellowship. And next year, at Proclaim 19, we will celebrate the 75th anniversary of National Religious Broadcasters. Speakers confirmed so far include Greg Laurie, John MacArthur, Charles Stanley, Joni Eareckson Tada, DeVon Franklin, Mike Lindell, Jon and Andy Erwin, and many more. The emcees of the Convention will be twin brothers, authors, and entrepreneurs David and Jason Benham. Also notable at Proclaim 19 are the Super Sessions, where the “best of the best” in media will discuss changes and innovations that are or will be impacting the work of Christian communicators; Industry Summits and Sessions, where speakers from various industry areas – Digital Media, Film/TV, International, and Radio – will present valuable insights for those in media and ministry; film screenings for new and not-yet-released movies; and various networking events and opportunities scattered throughout the Convention. For the Proclaim 19 schedule, hotel information, sponsorship and promotional opportunities, space and event reservation, registration, and more, visit nrbconvention.org. For questions related to registration, contact Lyndsey Thornton at lthornton@nrb.org, or call 202-543-0073 x502. To register as an exhibitor, sponsor, or affiliate, or to reserve a hospitality suite, email nrb@pcm411.com or call 212-460-9700. Also, for opportunities to sponsor and/or exhibit at Proclaim 19, contact Jim Buckley at jbuckley@pcm411.com/203-502-8283 or Joe Nemchek at jnemchek@pcm411.com/203-502-8338. Don’t forget: the best rates will be available through December 31. Register today and save up to $200!